This wikipedia link covers pretty much everything there is to know about playboating. It is a competitive discipline, where participants compete to score difficult technical maneuvers which require precision! NUIKC is ideally located beside the canal which means that flatwater freestyle is possible all year round. If you have an interest in playboating, don't be afraid to get in contact with some of our more experienced club members who will be able to show you how to do just about anything in a boat. Another good way to learn freestyle moves is through the paddle education Youtube channel. 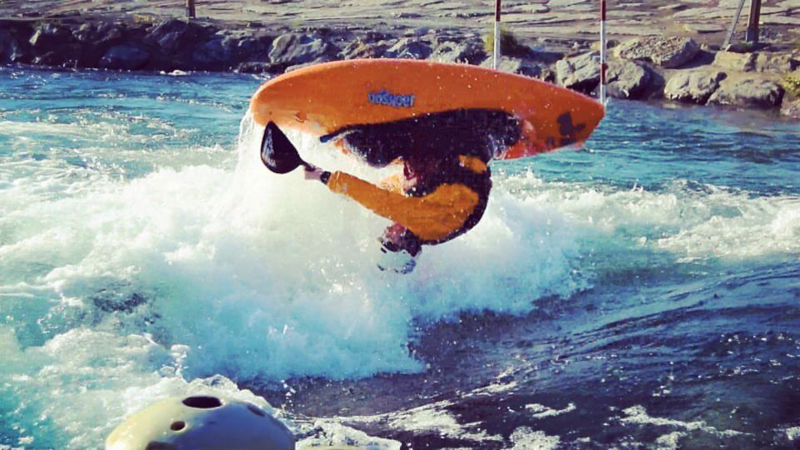 There are three main aspects to freestyle kayaking. 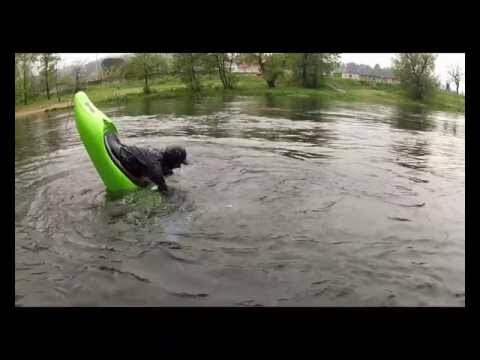 Like most forms of kayaking, videos explain it best. 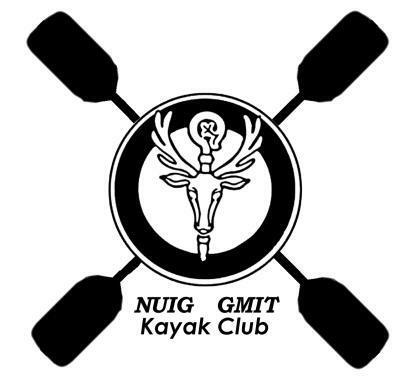 Popular in NUIG Kayak Club due to the proximity of the boathouse to the canal. Here is a video of club member Bradley Skidmore less than two years after he joined the club and took up kayaking. Flatwater freestyle is probably the best way to ease yourself into the world of freestyle kayaking. It all begins with the roll, as demonstrated in this video. Once you feel confident rolling, you might progress to back-deck rolls or even hand rolls. From there, the world of kayaking really opens up. Bow and stern stalls are then next techniques that are usually attempted, which then lead to cartwheels, loops and a whole host of other acrobatic and spectacular moves. As with any sport, it's all about practice! These techniques require a lot of precision but once you master them, prepare to feel pretty damn cool! Wave boating involves surfing on a wave whilst attempting tricks, similar to hole boating. Wave boating can be done on standing waves on rivers or on waves at the beach.